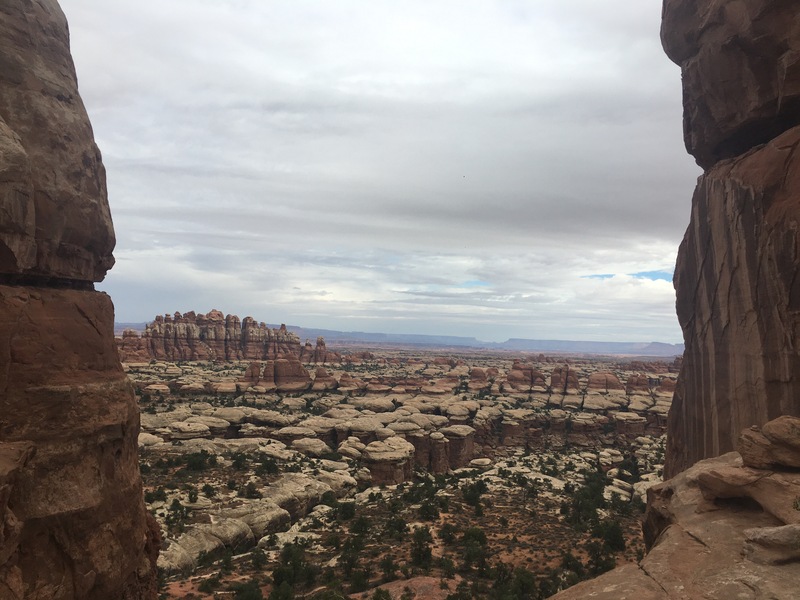 If I was a bandit hiding from the law (especially pre drone and heat sensing technology) I would head straight to the Needles in Canyonlands! The terrain is bizarre, endless numbers of sandy canyons interrupted by giant red rock formations needling straight up from the ground. You could hide out (or get lost) in these canyons for days. 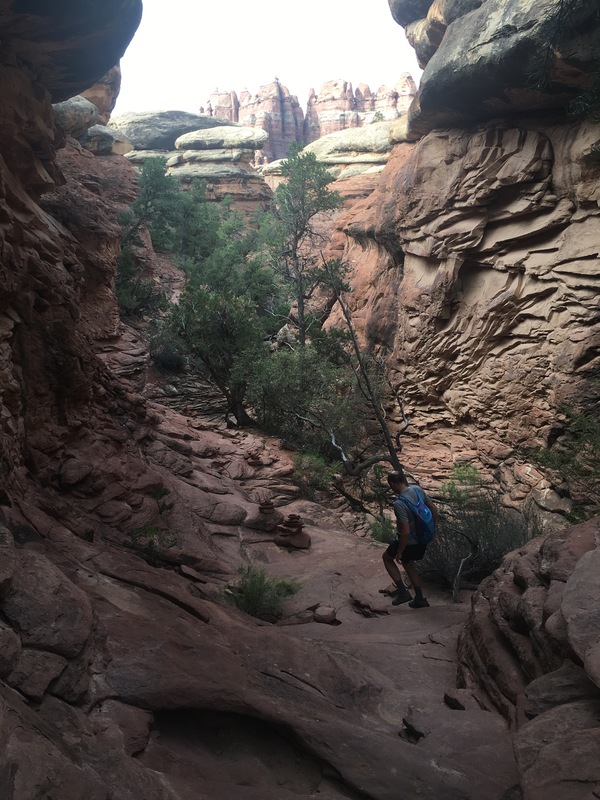 This park gets my vote as the loveliest national park so far – not the stunning views of Bruce or the fear inducing climbs of Zion, but endless lovely trails looping around the canyons with very very few people on them! The Rangers were the friendliest to date also! 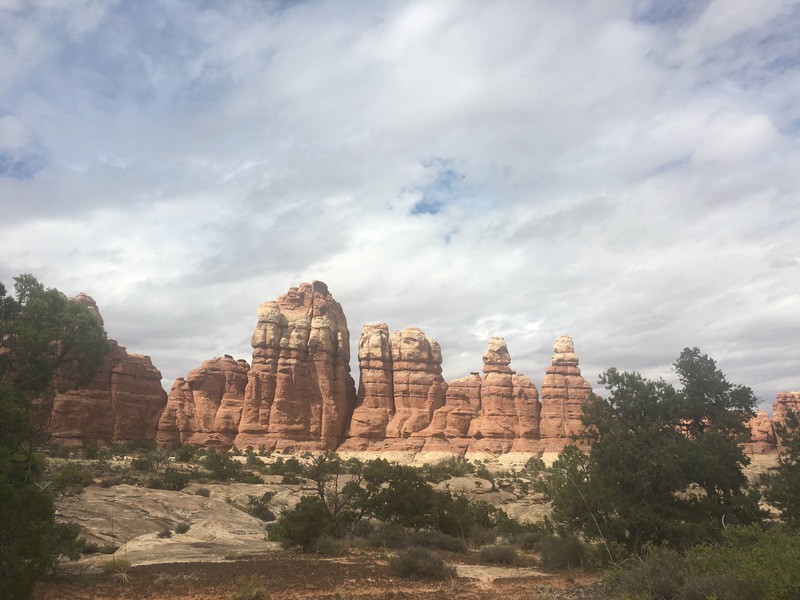 The hikes are all splendid and interconnecting, so depending on how energetic you are you can do as much or as little as you like. 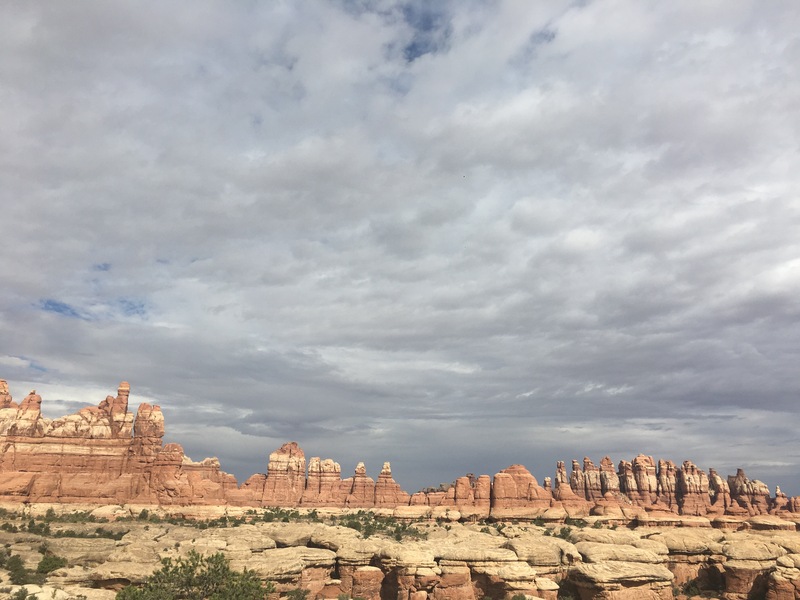 At a minimum I would recommend hiking out to the Chesler Park viewpoint and doing the Chesler park loop (18k round trip). 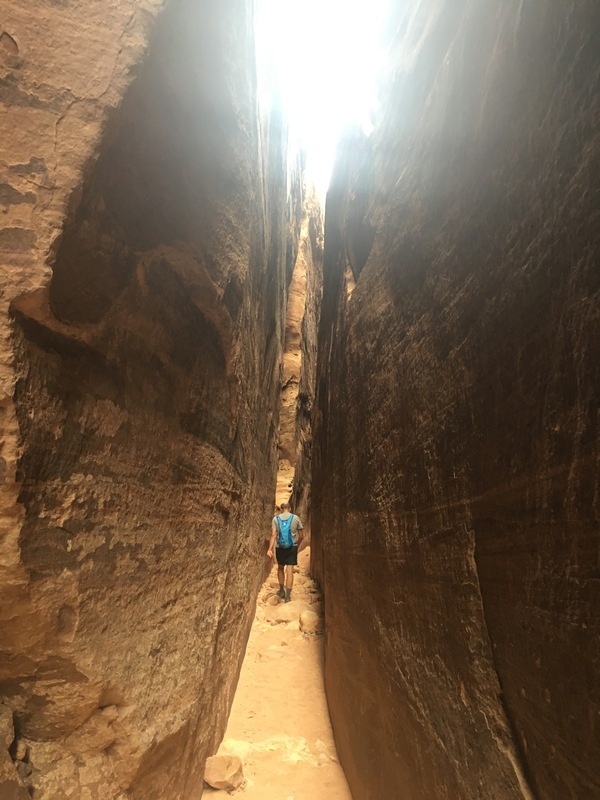 This includes a stunning part called ‘the joint trail’ which is a 500m section traversing a narrow crevasse. 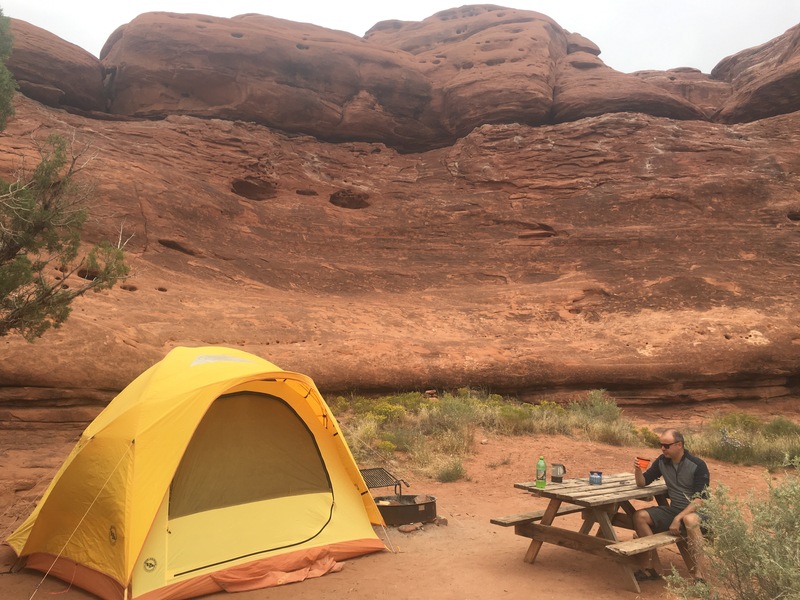 You can camp in the park, in nearby BLM campgrounds, or the the privately run needles outpost. All the sites were more or less the same. We stayed at the outpost as they took advance bookings rather than first come first served. They also had an overpriced shop and paid showers. Water is free at the visitors centre so stock up there versus paying in the camping.